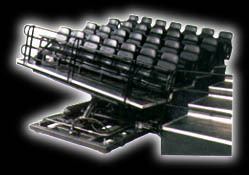 Doron Precision Systems understands just how critical the motion system is to the success of your attraction or exhibit. Proven reliable in hundreds of installations world-wide, including entertainment, military and training applications. 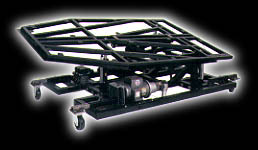 Doron's motion systems feature dependable, proven hydraulics for a smoother, more realistic ride experience. The hydraulic system is built to withstand pressures up to three times normal operating specifications. Doron motion systems are in continuos production, meaning you enjoy the benefits of lower costs and faster delivery. Plus, Doron motion systems are designed, manufactured and tested in Doron's plant to assure product reliability, durability and performance. If your requirements are unique, our Applications Engineering Department specialises in modifying standard products and developing special hardware, computer controls and audio-visual software to meet your special needs.